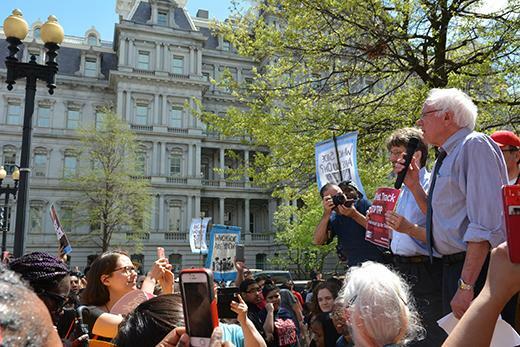 As many as 1,000 demonstrators participated in a “Don’t Trade Our Future” rally in Washington on Monday to denounce Trade Promotion Authority and the Trans-Pacific Partnership (TPP) trade deal that “fast track” will push through Congress. The protest was organized by Campaign for America’s Future, National People’s Action, Alliance for a Just Society, and USAction. 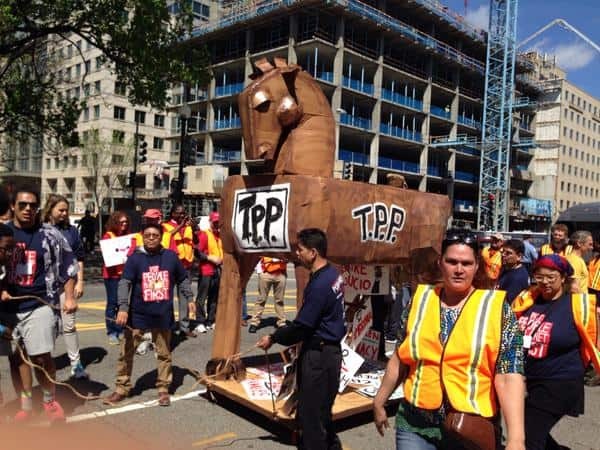 The protesters pulled a 15-foot Trojan horse through the streets, as they marched from Lafayette Square in front of the White House to the U.S. Chamber of Commerce and the U.S. Trade Representative’s office.